As the first quarter of 2016 comes to a close, I thought I would take this opportunity to let you know where I am in the reading challenge. The good news is I’ve read some really terrific books. The bad news is, not enough of them. 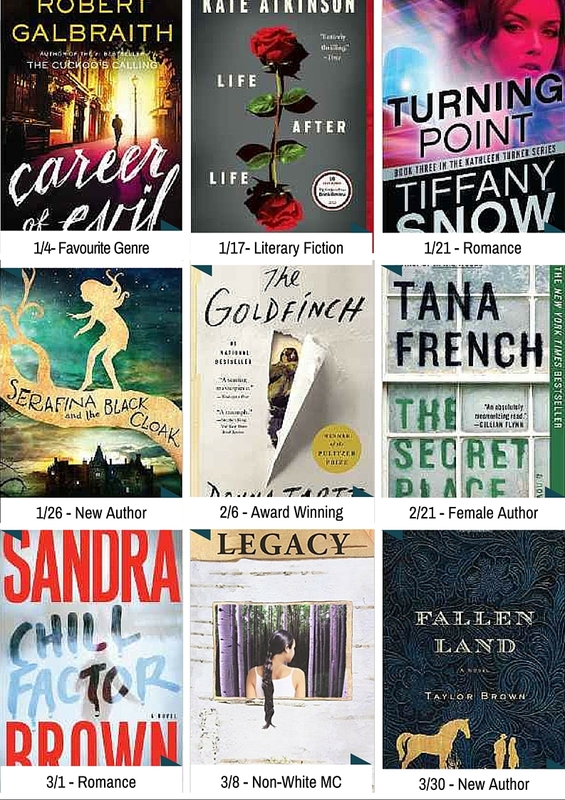 As of the end of March, I’ve read 9 books. I should have read at least 12 to be on track. I’m sad that I’m already behind, but I’m telling myself that 3 books is not a terrible deficit to make up, right? RIGHT? How is your reading coming along? Leave me a comment! !